The Clearing does not offer a medical detox program on our premises, but we have some great partners to help you through this important first step. If you need to complete this step first, we’ll be happy to assist you in locating an appropriate medical detox program for you. We’ll be with you every step of the way. Swedish Ballard Addiction Recovery offers evaluations and detox by friendly, experienced staff that specialize in addiction medicine. Swedish accepts most health-insurance plans, including Medicare, and offer safe detox services for pregnant and postpartum women. Families and friends are encouraged to be involved in the recovery process. They are located in Ballard, just North of Seattle, WA. Royal Life Centers recognizes that detox effects individuals at the emotional level as well as the physical level. Their highly trained staff members use a holistic approach to detox, providing their clients with personalized detox that includes support and healing at the emotional level. They offer services in Lacey, WA, just south of Seattle, as well as several locations in Florida. 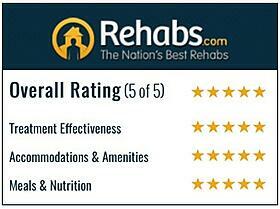 Royal Life Centers- Spokane offers peaceful, private detox in a state-of-the-art facility. 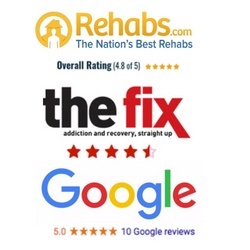 The highly-trained staff supports each client with individualized treatment for the physiological and psychological aspects of detoxification and recovery treatment. Providence Drug and Alcohol Addiction Treatment understands chemical dependency affects not only the individual, but also family and friends. Providence is a leading national heath care provider and the largest in Washington State. Its world class facility located in Everett WA, just north of Seattle. Gallus Detox Centers offers customized medical detox programs for alcoholism and most addictive drugs based on the Gallus Detox Method. Each plan is tailored for the patient with 24/7 monitoring by a medical team. Gallus has locations in Prescott, AZ, Houston, and Dallas. Waismann Method Rapid Detox provides rapid, anesthesia-assisted, medical opiate detoxification in a full service hospital setting. The method rids the body of harmful substances while the client rests under sedation, sparing the uncomfortable withdrawal symptoms. Their luxury facility is located in Beverly Hills, CA.